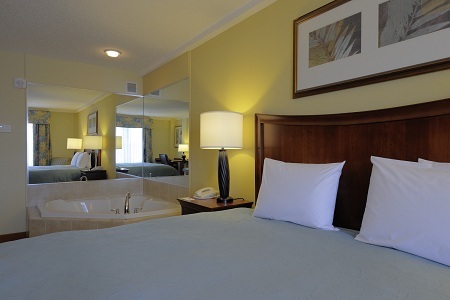 Whether you are visiting nearby colleges like South Carolina State and Claflin University or traveling for business near Columbia, the Country Inn & Suites® by Radisson, Orangeburg, SC provides a welcome respite from your busy day. 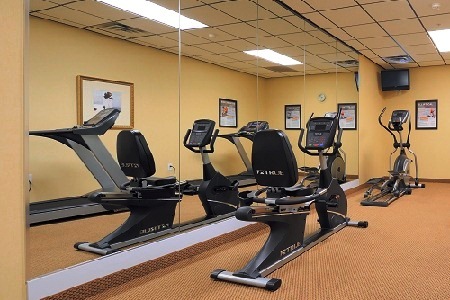 Located just off Interstate 26 and Highways 301 and 601, our hotel provides guests with a convenient starting point and amenities like a fitness center and an indoor pool. Begin each morning with our free, hot breakfast, which features Belgian waffles, eggs, yogurt, fruit and more. Be sure to visit nearby attractions like the beautiful Edisto Memorial Gardens and the Santee Cooper Lakes. Here on business? You can take advantage of our on-site meeting space and free high-speed Internet access. Need more room for a family trip or an extended stay? Choose a One-bedroom Suite with a separate bedroom and a large living area with a sleeper sofa. Our free, hot breakfast provides you with the proper fuel to start your busy day. Choose from lighter options like fresh fruit, cereals and yogurt, or opt for heartier favorites like Belgian waffles and eggs. Lunch and dinner options are easily accessible from the hotel and include nearby restaurants like Cracker Barrel, Fatz, or a local favorite, House of Pizza. Colleges – It’s easy to tour SC State University and Claflin University during your stay since both campuses lie only 10 minutes from the hotel. Cheer on the SCSU Bulldogs or the Claflin Panthers, and watch the stars in the I.P. Stanback Museum and Planetarium while at SCSU. Edisto Memorial Gardens – Located just 15 minutes away, these beautiful gardens are home to more than 80 beds of roses spread across 150 acres. Visitors can also admire azaleas and stroll through a Tupelo-Cypress wetland. Don’t miss the Annual Festival of Roses, held the weekend before Mother’s Day each May. Santee Cooper Lakes – Situated about a half-hour drive from the hotel, the Santee Cooper Lakes system consists of Lake Marion, Lake Moultrie and their connecting canal. Here, anglers can reel in striped bass, largemouth, crappie, bream and catfish. Feeling competitive? Fishing tournaments take place on both lakes throughout the year. 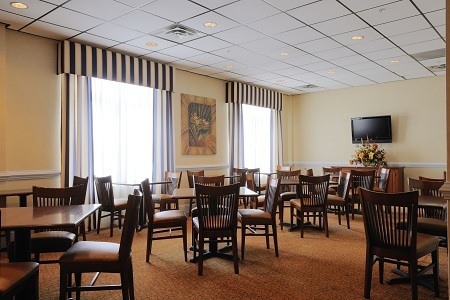 Host your next meeting or event with us at the Country Inn & Suites. Our meeting facilities, which can accommodate up to 80 guests, include useful amenities like free high-speed Internet access and a DVD player and TV. 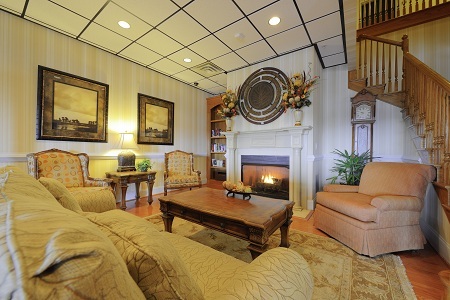 We also offer easy access to the Regional Medical Center and other local businesses. Need to stay productive? Our business center stays open 24 hours. Directions to the hotel: Take exit 145 on I-26. Merge onto Highway 601. At the first stoplight, turn left onto Citadel Road. The hotel is a half mile down on the right, next to Cracker Barrel.